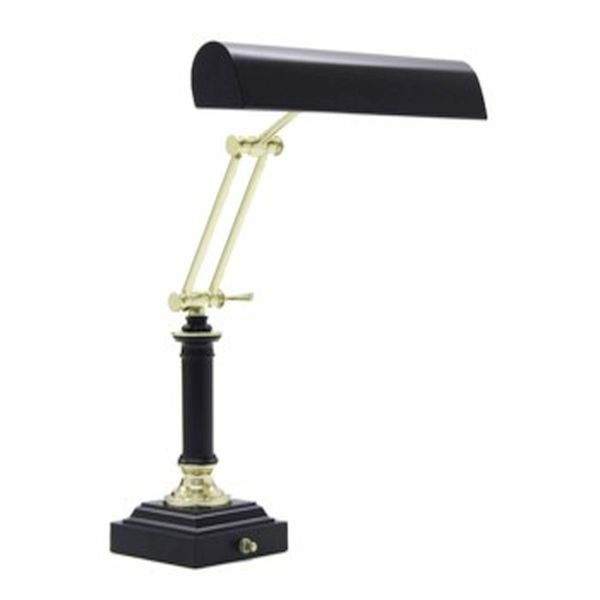 Elegant Black & Brass House of Troy Piano Lamp. Perfect for Spinet, Console or Full Size Upright pianos. 14" shade to hold two bulbs. HEIGHT....Adjusts from 0" to 16-1/2"
Switch is on the base. I wanted a black piano light for my new professional studio upright. I ordered this light and was delighted to receive it. The look of black and brass was just what I wanted! Thanks for offering such a variety of piano lights.